Montreal, November 11, 2016 – Trium Group Inc supports the initiative “Operation Sous Zero” by organizing a considerable donation for children in need. With the recent announcements of a harsh winter, the company has decided to move quickly and offer coats that will warm the hearts of children. After more than 10 years, “Operation Sous Zero” has managed to gather many private and business donors and can now count on Trium Group’s support. Today, Trium Group is a major player in the uniform industry and is devoted to support this noble and worthy cause by donating no less than 850 winter jackets representing several tens of thousands of dollars. 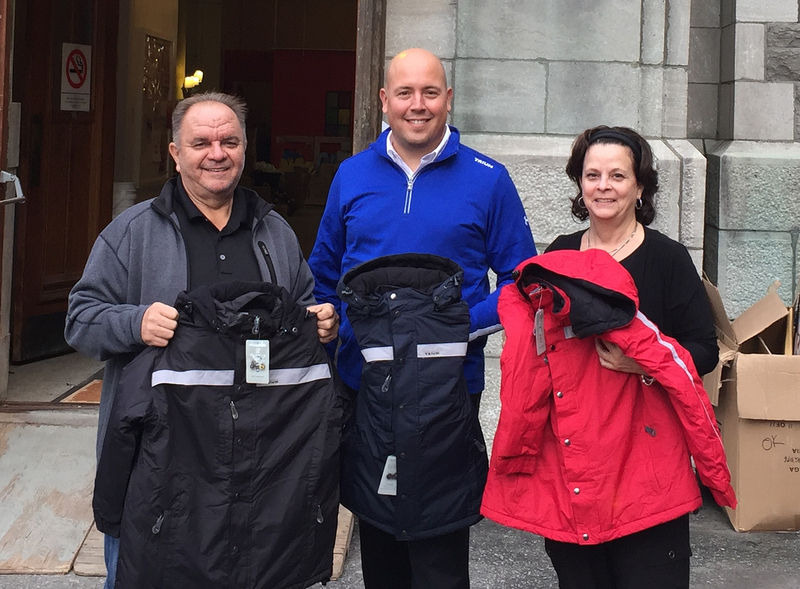 We are extremely happy to provide these winter jackets to such a great organisation says Alec Veilleux business partner at Trium Group.